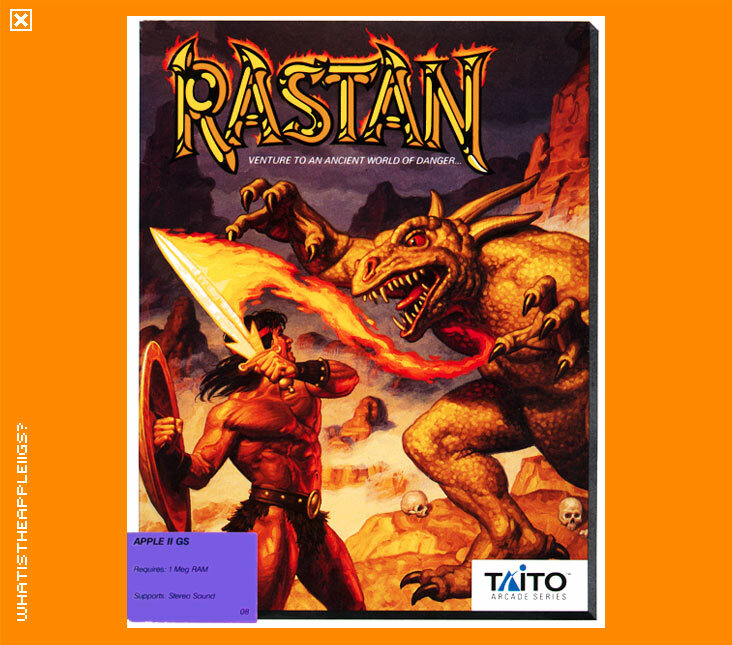 Rastan has proven to be one of the very best games ever to surface on the IIGS. Combining the excellent game play, graphics, music and sound of the arcade original with John Brooks' excellent programming resulted in this masterpiece. 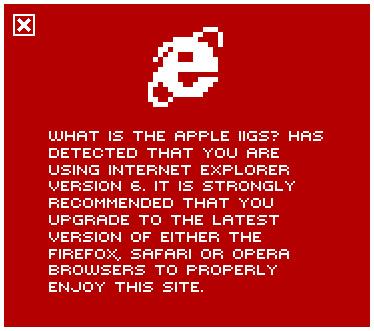 Enough about how good it is. Travelling through the land of Lograth, you will rid it of its evil inhabitants by sword, axe or ball and chain. Armour will protect you from damage and blue vials of potion can restore your health and red vials can reduce your stamina. The game allows for input for either joystick or keyboard (for the keypad, remember to use "7" and "9" as diagonals - important to use running jumps to complete the game). Button 0 (open-apple) is the fire button and Button 1 (option) is the jump button. Tip: If you press the jump button, Rastan does a small jump; if you press up and jump, Rastan will jump higher. Also, Rastan can stab upwards if you press up and fire or downwards if you press down and are in mid-air. Rastan has its own neat control panel accessed by pressing open-apple, control and escape which allows toggling of music, sound, volume, keyboard/joystick.